The video below shows a Playmobil character that performs as an acrobat. This animation will be installed at Pittsburgh's Children's Hospital where the PGRS has designed and installed a train display. Since the animations at Children's are started when a child presses a button the pendulum must "self-start". 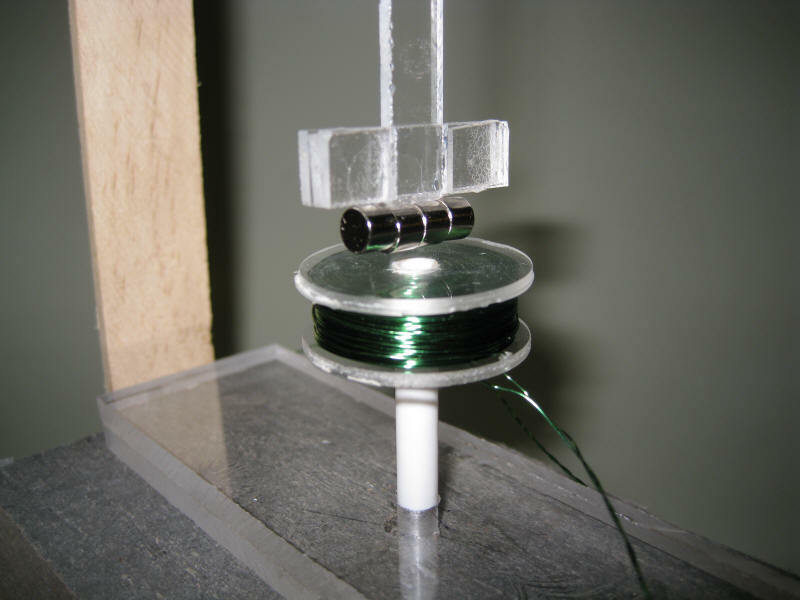 Experimentation found that the key to the self starting is to deliver several pulses of 12 volts to the pendulum circuit. 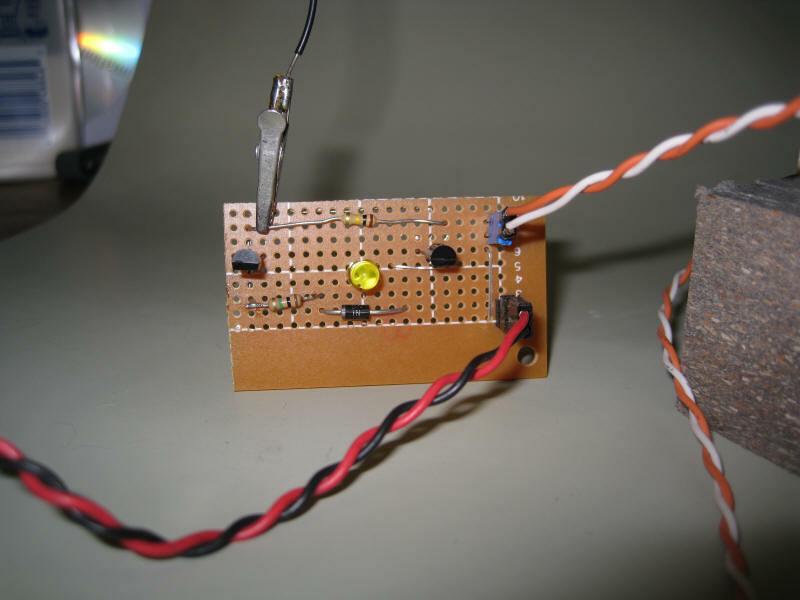 The pendulum is controlled by a PIC microcontroller that varies the voltage that is delivered to the normal pendulum circuit. 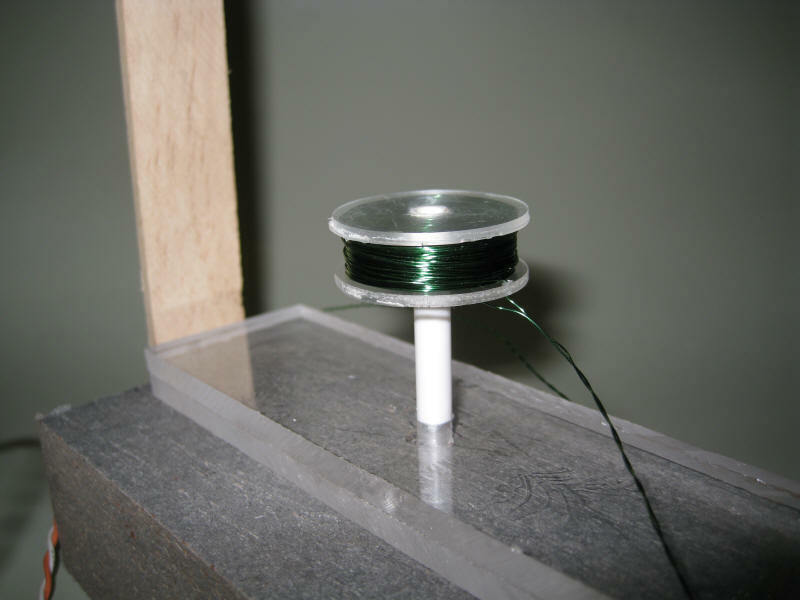 The PIC delivers a string of pulses so that it self starts, lowers the voltage so that the acrobat swings gently then increases the voltage so that she does 360's for several seconds before resting and coming to a stop. Shorter arm and more turns on coil. The swing set is animated with a PICAXE circuit and a servo.